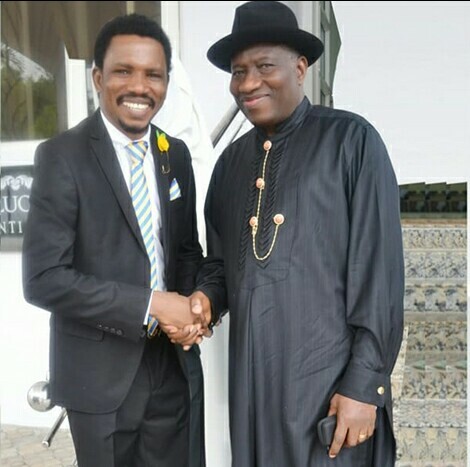 A man who had earlier criticized Goodluck Jonathan during the 2015 general election and openly supported Muhammadu Buhari to be president, has begged him (GEJ) for forgiveness after realizing his mistake. "Today I visited the former President of Nigeria, the father and Hero of democracy in Africa His Excellency Goodluck Ebele Jonathan (GEJ) the man that believed that his ambition is not worth the life of any Nigerian. I ceased the chance to apologise to him for disagreeing with him politically in 2015. In his usual characteristic manner, he opened his arms wide, forgave easily and received me with love. This man is the embodiment of humility and gentleness. We promise to redeem ourselves from our mistakes of 2015 come 2019. God bless Nigeria."